Logistics Manager‘s editorial programme focuses on the core competencies essential to the modern logistics and transport functions. All links in the supply and value chains are covered in every issue of the journal with in-depth case studies detailing how organisations are reducing operating costs and boosting the efficiency of their goods-to-market operations. There is extensive coverage of new distribution and other logistics contracts, industrial property developments, vehicle fleet updates, innovations and information systems technology. The magazine is available in print, via an online edition and also as a dedicated iPad edition. 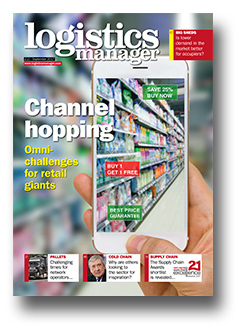 logisticsmanager.com is the UK’s leading online resource bringing supply chain professionals the latest industry news and features, case studies and forthcoming events. Readers can also search our editorial archive of every article published in Logistics Manager magazine over the past five years and subscribe to our weekly email newsletter. Dedicated channels make it easy for users to find relevant information across a broad range of supply chain related areas including materials handling, transport and distribution, industrial property, IT and software, storage and health and safety.